The Prosecutor General's Office of Ukraine received a letter from the Prosecutor General's Office of the Russian Federation that states that "neither the Administration of the President of the Russian Federation nor the Federation Council of the Russian Federation: have received any letters from Yanukovych [March 1, 2014] on the use of Russian troops on the territory of Ukraine. 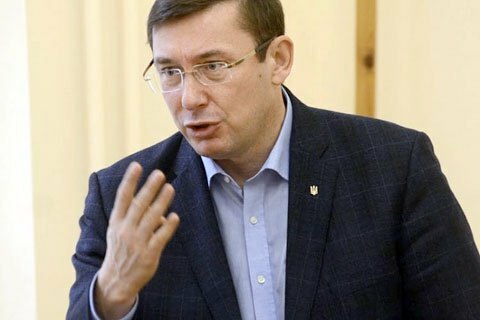 Ukraine's Prosecutor-General Yuriy Lutsenko gave his Russian colleagues a said in a Facebook post on 10 March. "Paper endures anything, Russian prosecutors, but what about Churkin's speech to the UN Security Council about this letter [3 March, 2014]? What about Yanukovych's video interview, in which he confirms that he wrote such a letter [2 April, 2014, TV Rain]? How about the speech in the Federation Council of Sen. Klishas, who mentions this letter of Yanukovych [28 February 2014]? After all, how about the video of Putin's meeting with the press in Novo-Ogarevo [Mar 4, 2014]?. Throughout the interview, Putin, responding to a question about what can serve as an occasion for the use of the Armed Forces of the Russian Federation in the territory of Ukraine, has repeatedly noted that he has 'a direct appeal of the incumbent and legitimate President of Ukraine Yanukovych On the use of the [Russian] Armed Forces to protect the life, freedom and health of the citizens of Ukraine'. Later in the interview, Putin repeatedly stressed the availability of this official appeal of Yanukovych," Lutsenko reminded. The chief prosecutor is convinced that the answer to these questions is that "a court will soon establish the truth and punish both the traitors and invaders." On January 17, 2017 the PGO received and made public a copy of a written statement of Yanukovych with a request to send in Russian troops to Ukraine. "I appeal to Russian President Vladimir Putin with the request to use the Armed Forces of the Russian Federation to restore law, peace, law and order, stability and protection of the Ukrainian population," the letter reads. Yanukovych is charged of committing A HIGH treason by calling on the president of a foreign to use troops on the territory of Ukraine. Subsequently, this appeal cost Ukraine the loss of Crimea and objects of state property worth more than 1,080 trillion hryvnia.